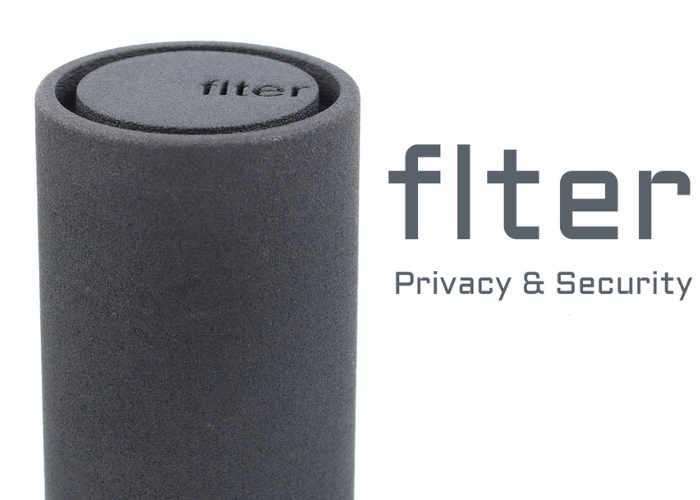 Anyone concerned about their online privacy and security, may be worth giving a new Internet router called Flter, more investigation which is capable of providing VPN protection, malicious and blocking and Tor and anonymity for all your connected devices. Watch the demonstration video below to learn more about the cylindrical Flter secure Internet router which is launched on Kickstarter to raise the $50,000 the team requires to move to the next stage of production. Privacy and security is a growing concern for many people. We created Flter to make privacy and security more accessible and easier to use by providing coverage that works seamlessly across all internet connected devices. Flter is a network device that provides VPN protection, malicious ad blocking, and Tor network anonymity. Flter works at the router level so you don’t have to install software on every device you use. This is great for devices that don’t support these applications like gaming consoles, smart TVs, and media players. All you have to do is connect to Flter via WiFi or Ethernet. Our goal was to make a product that anyone can use, not just the tech savvy. With Flter, you can just set it and forget it. Once Flter is set up it can be left alone, and Flter works seamlessly on all the devices in your home. It’s the perfect device for everyone. A Virtual Private Network (VPN) is a secure connection between your computer and another computer over their internet. This connection encrypts all of your incoming and outgoing web traffic so no one, not even your internet provider, can see your online activity. Our servers act as middlemen that hide your IP address from the websites you visit and the services you use. For more information on the new Flter jump over to the Kickstarter website for details and to make a pledge from just $80 for super earlybird backers with delivery expected to take place during June 2017 by following the link below.